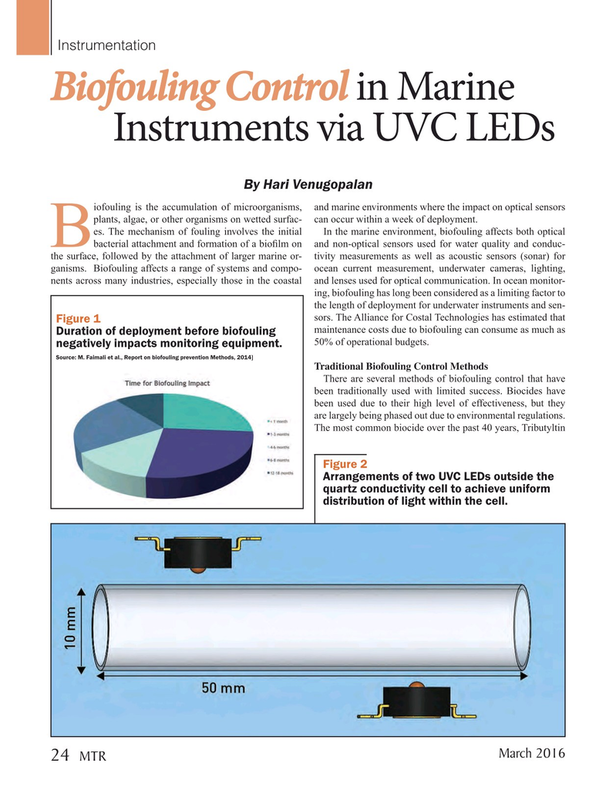 By Hari Venugopalan iofouling is the accumulation of microorganisms, and marine environments where the impact on optical sensors plants, algae, or other organisms on wetted surfac- can occur within a week of deployment. Duration of deployment before biofouling 50% of operational budgets. There are several methods of biofouling control that have been traditionally used with limited success. Biocides have been used due to their high level of effectiveness, but they are largely being phased out due to environmental regulations. Arrangements of two UVC LEDs outside the quartz conductivity cell to achieve uniform distribution of light within the cell.